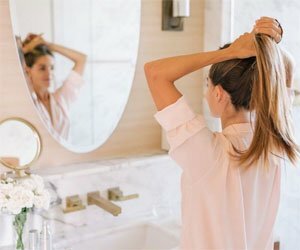 Unless you are walking around with a warm light coming front on to the face or a slight blur in front of the camera lens, you may of noticed that we can, especially in different light or with different products, sometimes we appear to have more crow’s feet than other days, it is depressing! I’m going to tell you the dos and don’ts when it comes to application and products for this delicate area. Our ultimate goal in makeup, as you can see above, is to create light on the face. This always washes out any unwanted concerns we may have like redness and discolouration, but it also adds freshness and brightens our sometimes dull and tired complexion. 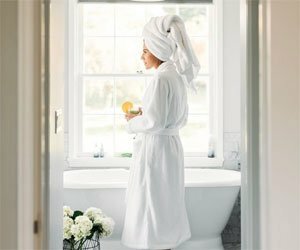 Light, as above, works well in front of us and of a warm glow, but in most our lives there is a lot of overhead lighting creating shadows on our face, or natural daylight which can show up every little area of the face. 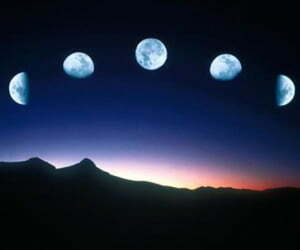 So, in a way, light can be our best friend when right, but can be enemy when not front lit and warm. We all want the above pictures front lit glow everyday! The first thing we must do and it is hard to admit too, is recognizing the fact that your skin in certain parts will crease. When I worked as National Trainer for shu uemura, I learnt the philosophies of the brand but of Mr shu himself, one being Face Architect. This means we build the face with makeup, but if we do not know what’s going on underneath, we can never build the perfect face. MB PRO TIP – It is important to know your own skin condition and to look at your face in the mirror and use expression that you would during the day – laugh, smile, look confused, do whatever it takes to see how your skin moves and where it creases most. This will tell you where you need to use LESS product and LESS shimmer/metallic finishes to not draw attention, or make the area more creased! Upon doing this little experiment, most will find there crows feet will be the most creased area – this does not mean you have wrinkles, just expression lines, but if you cover the area with too much product, it could look more like wrinkles, looking heavy and clogged. Hydration fixes a lot of things with the skin and in this case it all goes back to your skincare. We should all be using eye cream, it is the first area to show signs of age, as it is so active. 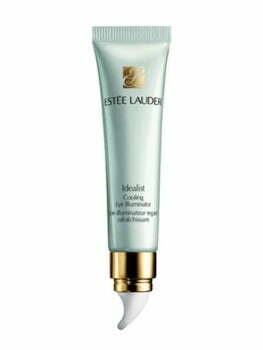 A rich eye cream, usually more for lifting or deep set wrinkles is better at night, as the texture takes longer to penetrate deep into the skin as it nourishes a long the way. Whereas a light, gel/watery texture eye product is more about instant hydration, great for a quick fix to instantly plump out and give a normally dehydrated area like ‘Crows Feet’ the drink it needs to look smoother – great for the morning when applying your makeup. 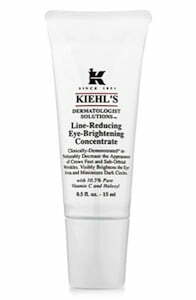 I love the Kiehls Line Reducing Eye Concenrate (RRP $68) – this light texture is perfect for anti-fatigue and reducing fine lines around the eye. Key words to look for when needing more instant results are light, gel, water, anti-fatigue, anti-puffiness, brightening – all these products should be lighter than an actual cream style eye product. Once you have softened the expression lines, it is time to brighten the area, but I’m not just talking about concealer. A primer style product that has a brightening effect – these are NOT shimmery, but have a brightening element, normally because of the pink/opal pigment running through the product, it tends to wash out any dull areas. It is very important not to use anything that has a shimmery or frosted look on this area as it can promote the crow’s feet, rather than blurring. Brightening the area will lift up the fine lines, as lines anywhere on the skin are tiny shadows where they crease, so if the skin is brighter, they will lift. Apply a brightening, blurring primer on an area that you want blurred and to look brighter, this will definitely create a youthful approach to your skin and if makeup is applied over the top, it will really help give lift, not allowing a dull area to show more creases. 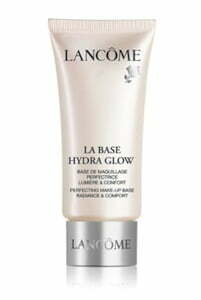 For the face and use up to the orbital bone, try Lancôme’s Hydra Base Glow (RRP $55). This is a great skin brightening primer for under foundation, creating a lot of light to the face rather than shimmer. 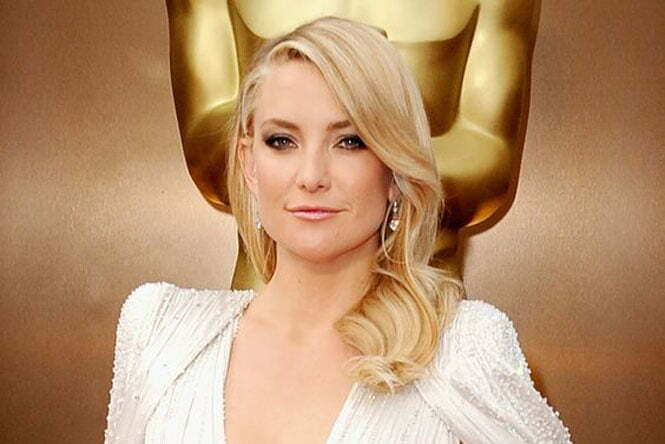 Not used in the eye area, but definitely high above cheekbone. Now that our skin and area around the eyes should be brighter – this will blur and lift the look of expression lines (Crows Feet), we would apply makeup to your desired level. Women go wrong everyday with covering and thinking that makeup is like a camouflage for lines on the skin – false. Makeup can add structure – contour with light and shade, it can also smooth out and wash out unwanted colours, but it does not disguise crows feet, it can make them loo worse if not careful. If an area moves a lot on the skin, it means the muscle is active and it will continue to move throughout the day. This tells me instantly not to place any product directly on this area, as later in the day it would have moved into the crease, making it look worse. It is the biggest mistake with the eyes I find women make. Creased area = less makeup = fresher longer! I only place concealer under the eye on the actual dark circle and dab to create the best coverage I need, I then gently sweep outwards any excess, but I would never apply any concealer to the outer eye area as there is nothing to cover, only an active area that later will look more creased if I used product there. 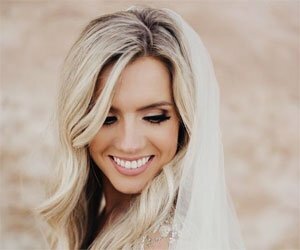 Foundation is a no no around the eye anyway as it is even lighter in texture, therefore even more flexible to move around the eye area, meaning because it is lighter and fluid in texture it will automatically fall into expression lines, so keep it where it is made for, the face, not the eyes.